Conflict between rail and road groups continues over the government’s emissions trading handouts. Thirty representatives from Australia’s transport groups have met with Federal Climate Change Minister Penny Wong at a forum to discuss how best to curb climate change. 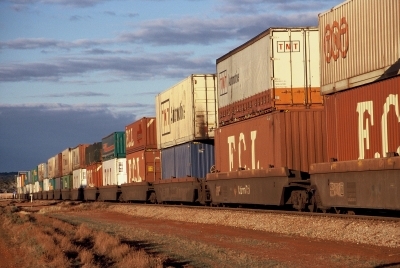 While rail groups argued rail is an environmentally friendly transport mode that deserves a bigger boost, the trucking sector called for more protection for their businesses and consumers under the emissions trading scheme. Chief executive of the Australasian Railway Association Bryan Nye said the impending scheme favoured road transport by recommending an immediate cost offset for road use, but completely disregarded rail and its environmental benefits. The green paper has recommended fuel for heavy vehicles to be exempt from price rises under the scheme until 2011, with petrol to be exempt until 2013. While trucking groups wanted the fuel exemption to be extended, Mr Nye said he opposed to the move. The shipping and aviation sectors were also worried that the scheme could give their international rivals a competitive edge as it would force up domestic fuel and ticket prices whilst international players remain unaffected. Senator Wong said Australia had no option but to cut its emissions, and there was no easy answer. “We’ve said in terms of the carbon pollution reduction scheme, we’re willing to talk to business about the best way to design it,” she said.